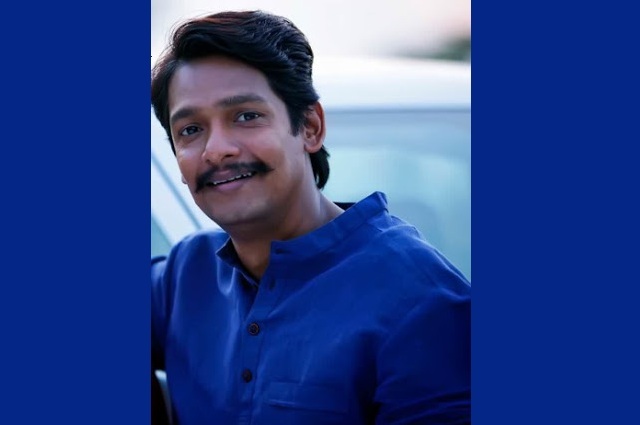 Priyadarshan Jadhav a very well known actor, writer from marathi film industry, who has written and starred in a lead role in a superhit film 'Timepass 2', is all set to make his directorial debut with the upcoming movie "Maska". The movie stars Chinmay Mandlekar, Aniket Vishwasrao, Shashank Shende, Prathana behere, Pranav Raorane and Vidyadhar Joshi in lead role. Marathi film industry has a strong roots of theater from where marathi film industry has got very talented actors and directors. In past we had seen that many actors who had base of theater has debuted as an director and had made brilliant movies, to name few actors and there creation are as Subodh Bhave's 'Katyar Kaljat Ghusali', Prasad Oak's 'Kaccha Limbu', Pushkar Shrotri's 'Ubuntu' and from todays generation Nipun Dharmadhikari 'Baapjanma'. After Subodh Bhave, Prasad Oak, Pushkar Shrotri another actor will now direct the Marathi film. Priyadarshan Jadhav will now direct a film and this film will soon be seen by the audience. The film had an interesting tagline "खाण्यापेक्षा लावण्यात मजा आहे". Recently the poster of the film Maska was published on social media platform which had received good response from the audience. In this movie Chinmay Mandlekar, Aniket Vishwasrao, Shashank Shende, Prathana behere, Pranav Raorane and Vidyadhar Joshi will be seen in a lead role. The movie has been written and directed by 'Priyadarshan Jadhav', produced by 'Prashant Prushottam Patil' under the banner Moreshwar Productions, presented by Amol Joshi Productions and Swaroop Recreations AdMedia. The film is all set to release in cinema theater on 1st June 2018.